Commercial vehicles (Class D and over) are NOT eligible. residence districts except within an enclosed garage. No person shall park a vehicle on any public street, parkway, public right-of-way, or public parking lot for a period of time longer than 15 minutes between the hours of 2:00 a.m. and 6:00 a.m. on any day, except by permit - violators will be ticketed. 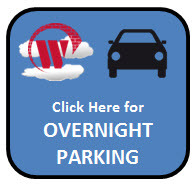 If you need to park your vehicle overnight you must contact the Police department by phone at (630) 981-6300. Overnight parking is limited to five (5) nights per month. Exemptions may be made for unique circumstances, but only upon prior approval by calling (630) 981-6300.